Here we will discuss the ever important insulation. Critical part of any custom van made for the van life. All vans are basically metal boxes. When you are going to spend extended amounts of time inside a van, temperature control is a critical element. After spending all day in the hot sun, the metal of the van can get very hot. This is when insulating the walls, ceiling, and floor is critical to slowing down the transfer of heat from the metal walls and into the living space. The stronger the insulation you apply, the more resistance your van will have to becoming hotter or colder based on external forces of summer or winter. But how much insulation is practical? 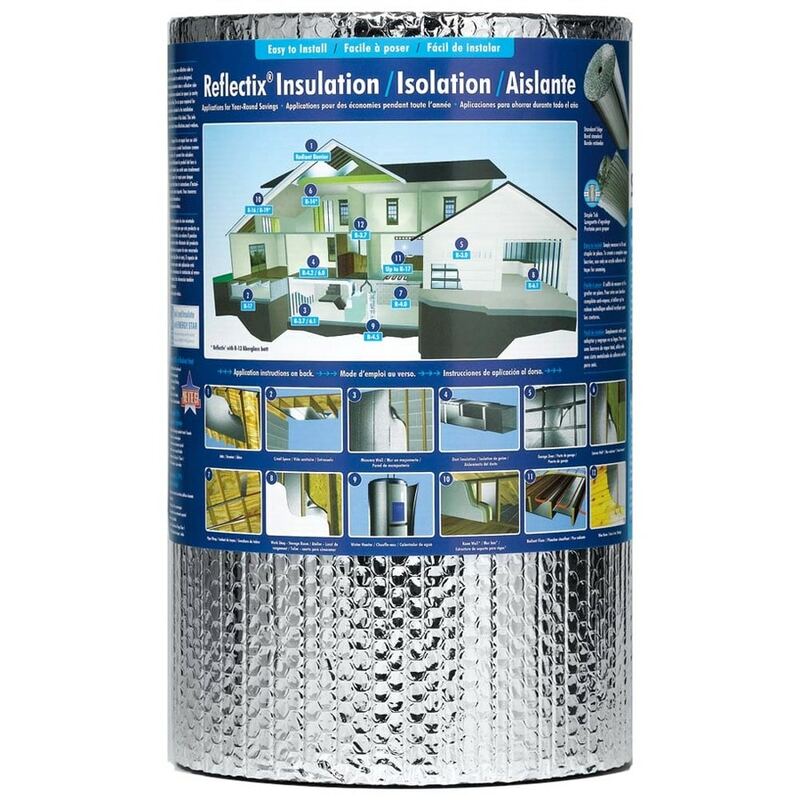 What type of insulation is most effective? How do I add it into the van? Selection of insulation material starts with R value. The R value is defined as a measure of how much the material is able to resist a change in temperature. The higher the R value, the cooler your van will be when exposed to direct sunlight. For my walls in the van I selected pink panther insulation. This insulation is fiberglass based, so we will be using gloves and overalls during the installation. As you can see in on the roll of pink panther above, the R value of this insulation is R-13, which is very good for this application. Now lets discuss how we can take this very strong insulation, and apply it safely and effectively to the walls of the van. Note: I am applying pink panther to the walls only, the roof is going to require foam boards which I will describe later. First I apply multiple pieces of 2X4 lumber to the walls of the van. These pieces of wood are critical to both the insulation and the paneling which will go on the finished walls. Adding the lumber to the walls gives us additional space to mount the insulation behind the final paneling. Without the pieves of 2X4 on the walls, there would be no easy way of mounting the final paneling, and there would not be enough room behind the final paneling to contain the pink panther insulation. I use flat head sheet metal screws to mount the pieces of lumber onto the metal ribs of the van. Warning: Make sure you do not drill into the outer wall of the van, and make sure your screws are not so long that they dent the walls outward. Below you can see the pieces of lumber ready to add to the walls. They will need to be cut to size, and mounted with screws on the walls. In the image below, you can see that I have installed the wood on the walls. You can also see that I have put on my protective gloves and overall to work with the fiberglass insulation. Also note that I am stuffing all the holes I can find, such as near the wheel well with pink panther. Not that the 2X4 pieces are on the wall, I unroll a piece of the pink panther and begin the mounting procedure. I will be using metallic insulating tape to adhere the pink panther to the wood. I am placing the fiberglass side toward the wall, and the paper backing inward. Now I will be taping the insulation in place, and this is how it is held in place till it is covered over. The tape we selected is durable to very high temperatures, which is critical to this thermal insulation application. 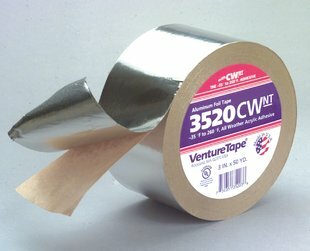 We don’t want the tape coming loose in the heat. Below you can see me putting int he first piece of insulation. In the image below, I am stretching out the pink panther , and the very beginning is held in place by a piece of the metallic tape. I then proceed to tape the whole length of the sheet to the wood. I cover the whole wall with one later of pink panther. At that point all the pink material is facing inward, and all you see is a wall of brown paper backing. Now that a whole layer of pink panther is in place, I then add a layer of reflectix insulation right on op of that. I adhere the reflectix to the paper backing of the pink panther with 3M 80 spray adhesive, and then I seal all the edges with the metallic insulating tape. Below you can see both walls after the reflectix has been added on top of the pink panther. Now this layer of reflectix serves multiple benefits. first and foremost, it adds another 3 to 4 R value worth of insulation on top of the 13 R value of the pink panther. Secondly, it helps seal in all the pink panther, so that none of the fibers could escape even if they tried. Keep in mind that the advertised R value of 4 for reflectix is only valid if used properly. Never apply the reflectix directly to the inner metal surface of the van! Reflectix needs a spacer between the metal and the material or else the R value can drop as low as 1.1 for the product. This is beacause reflectix is basically two sheets of thin metal foil with bubble wrap in between. If you place the metal of the reflectix against the metal of the car, you get direct transfer of the heat to your insulator, and that ruins the insulator. It’s as if one side of the reflectix has become one with the metal of your car, and hence become useless. This is why we placed the pink panther first and then the reflectix, since the pink panther does not suffer so much from direct contact with the heated surface. Next up, were off to the roof. The roof gets a bit more complex, as we want to keep it thin. Now the first thing I tried to do is use the same methodology for the roof. but this did not work out. The pink panther 3.5 inch insulation is so thick, that it would not fit in the space provided by the metallic roof ribs. I did not want to add wooden beams and drop the roof lower because head room is already at a premium inside the small available space. The fact is that we need a thinner form of insulation for the roof. The solution comes in the form of Thermasheath R-Max. This is a foam type sheet insulator that comes in 4X8 sheets. You can pick this up at the Home Depot or Lowes. I selected the 0.75 inch version with an R value of 5. This is definitely helpful, but not as much as I have on the walls. I am trading some insulation efficiency in return for some more headroom. Now in order to prep the roof for the Rmax, I want to make it relatively flat so the Rmax has surface area to adhere to . Since there are long grooves that run from front to back along the roof, they create small cavities. Now I fill up those small cavities with small rectangles of reflectix. These small pieces are glued directly to the metal, and will provide very low insulation since they are in contact directly with the metal. Now I will cut the Rmax into sections that fit inside the spaces provided by the ribs. I adhered the sections of R-Max to the roof using 3M-80 once again. 3M-80 is a heavy duty spray adhesive that can withstand high temperatures. This is definitely a must have to ensure the longevity of the adhesion. In the image below you can see me preparing pieces of Rmax foam insulation for the roof. the pieces of reflectix I used as filler are allready installed, and I am adding 3M-80 to both the Rmax sheets and to the reflectix I mounted on the roof. Keep in mind that Rmax has foil on one side. You will need to install the foil side down, and away from the metal roof. This is because placing the foil side of the Rmax against the heat source will eliminate the foils insulating property since it looses it’s required spacing. You can retain most of the R 5 value by placing the Rmax metallic side away from the metal roof of the van. Now after I mounted the Rmax sheets onto the roof, I completed the roof by adding a complete sheet of 9ft by 4 ft reflectix directly to the bottom side of the Rmax. This means that I have a total of (1+5+4) = 10 R worth of insulaiton on the roof. This is compared to the (13+4) = 17 R that I have on the walls. Next I add insulation to the doors. There are large cavities the doors. Some like to use it as storage, but since I don’t plan on doing that, I will be taking advantage to insulate those cavities with 2 layers of Rmax and a sheet of reflectix in order to increase overall insulation. Below is an image showing the first layer of Rmax insulation in the doors. I secured it using 3M-80. Below we can see another door after I added the 2 layers of Rmax and the final sheet of reflectix. And finally, to complete the insulation, I added “Great Stuff” expanding foam to any cavities which i could not stuff with pink panther. Now that the van has been insulated on the inside, The next step is route the wiring which goes behind the final wood panels. This will be covered on the electrical page of this website. Check out all my pages! Driving on the beach in St Augustine! Copyright © 2019 Pro Vanner. Powered by WordPress. Theme: Spacious by ThemeGrill.